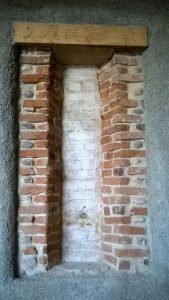 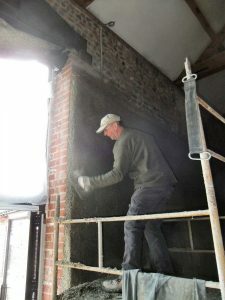 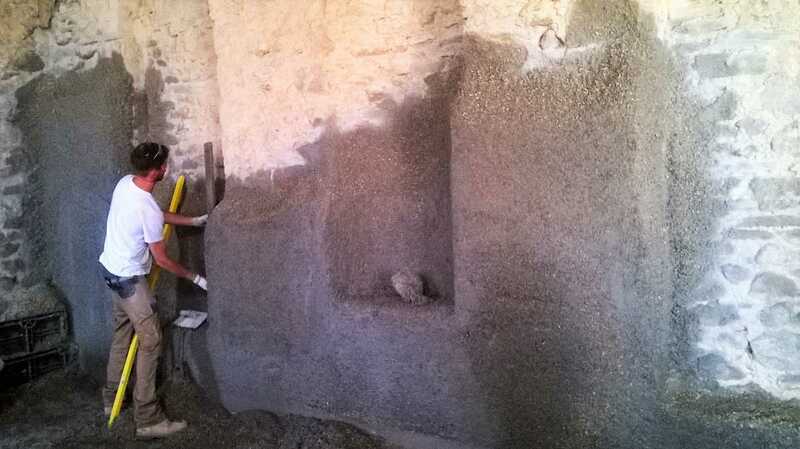 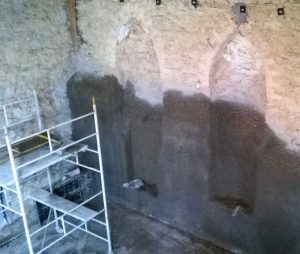 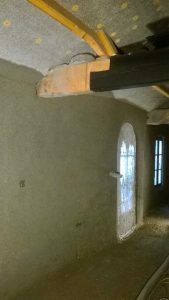 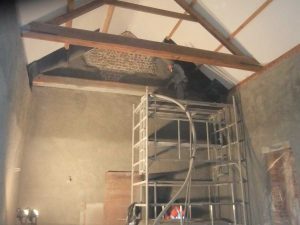 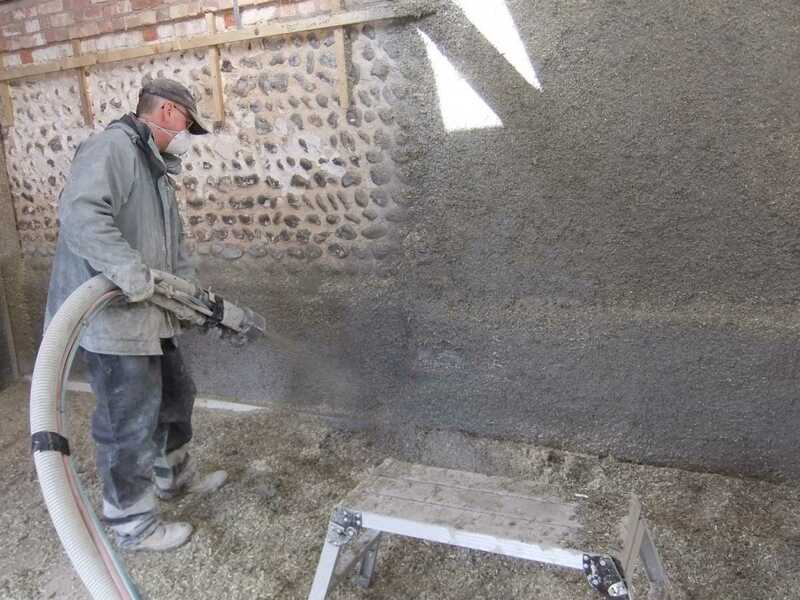 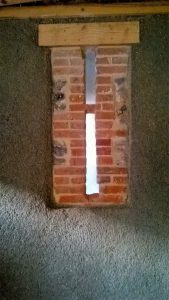 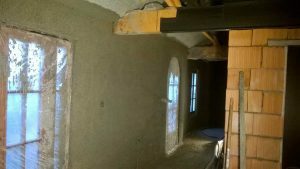 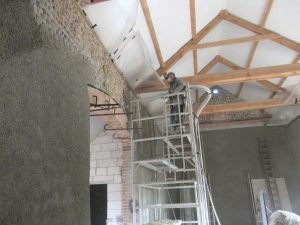 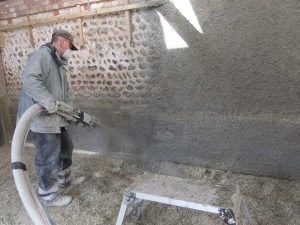 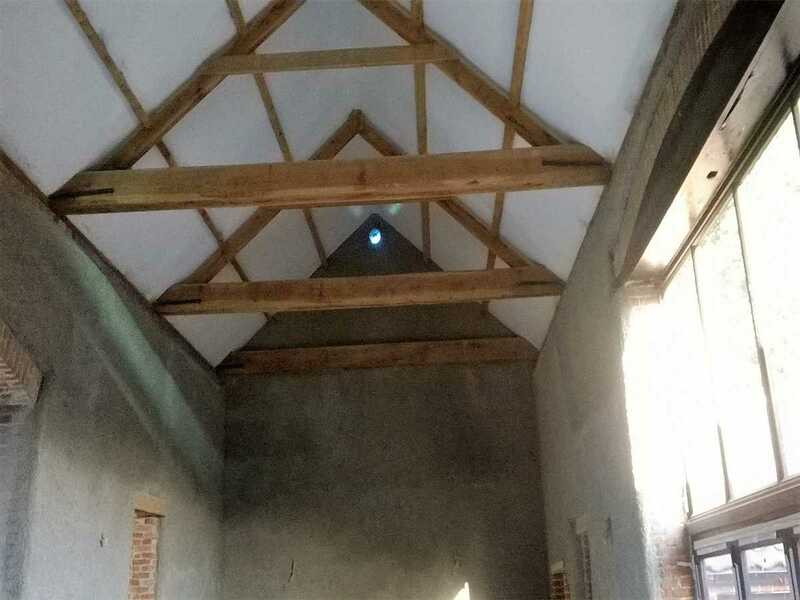 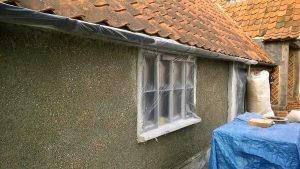 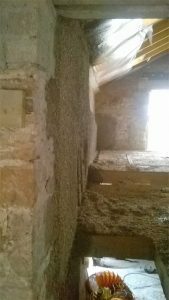 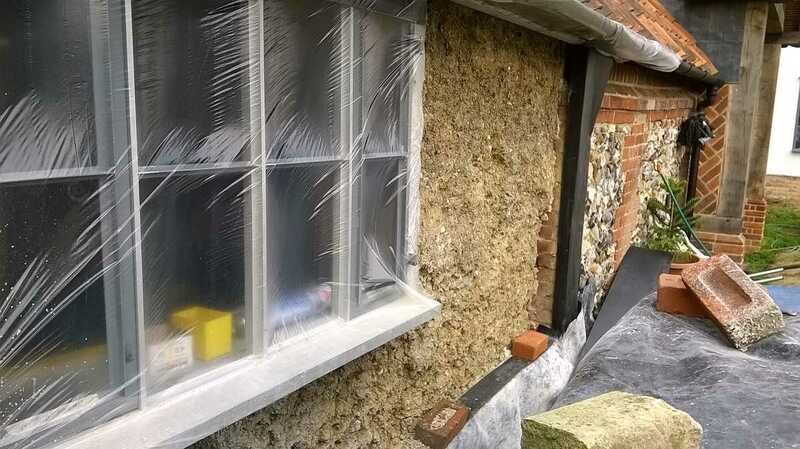 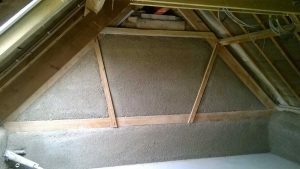 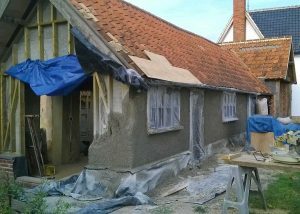 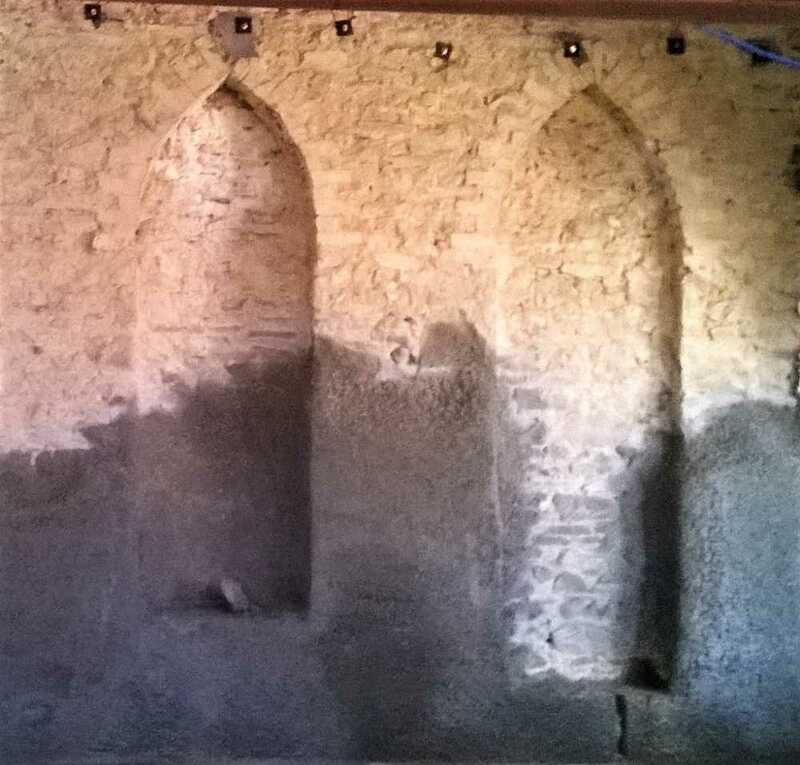 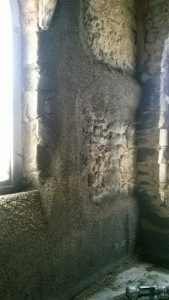 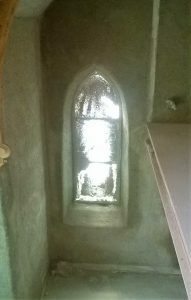 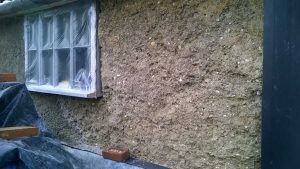 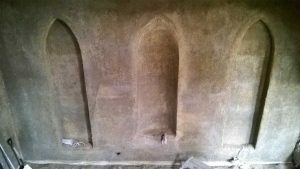 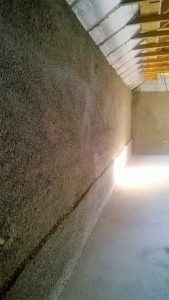 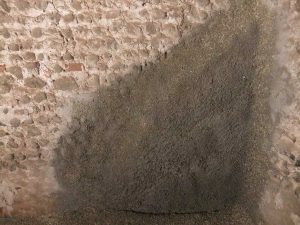 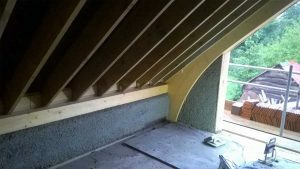 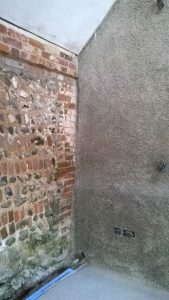 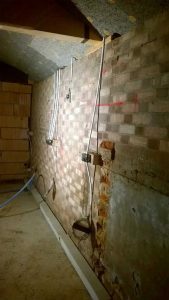 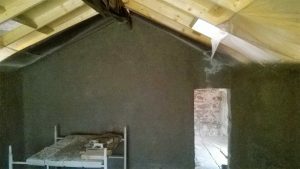 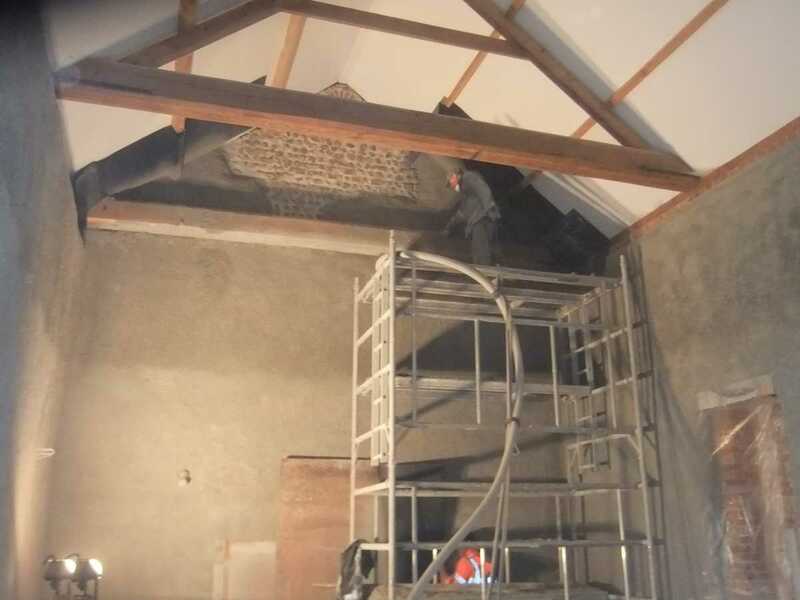 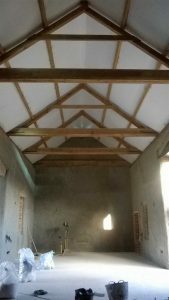 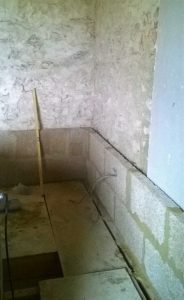 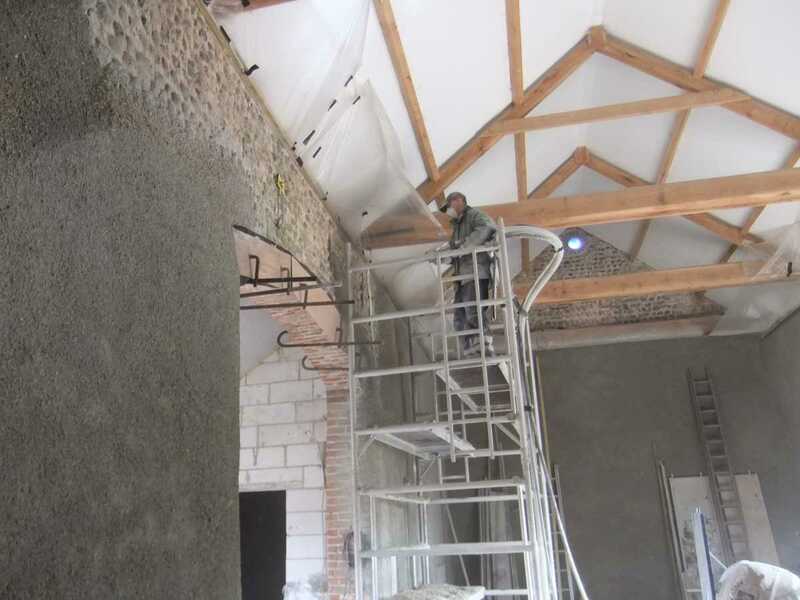 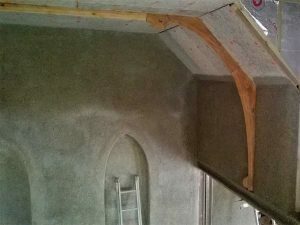 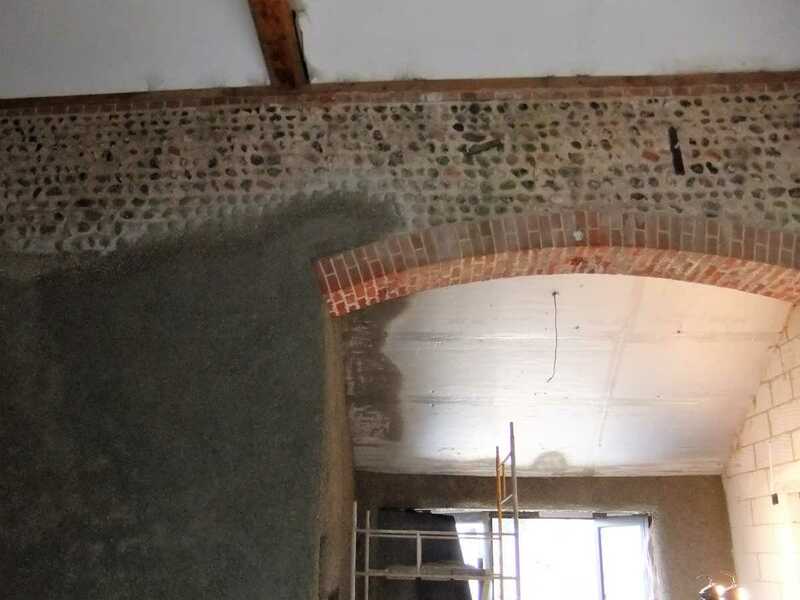 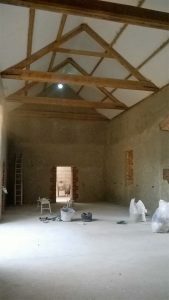 Spraying hempcrete on the inside of a flint barn in North Norfolk, 100-180mm thick to improve the insulation and maintain the character. 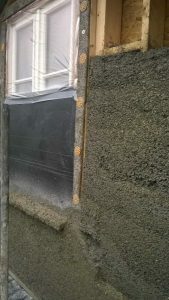 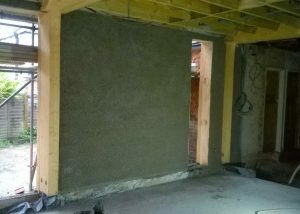 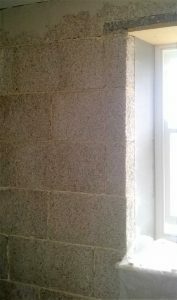 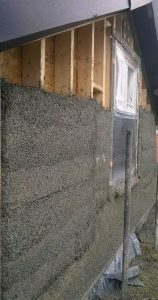 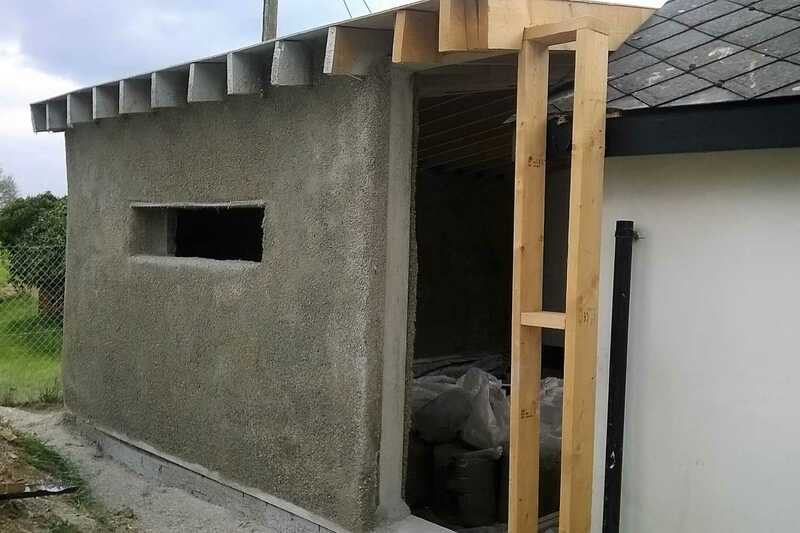 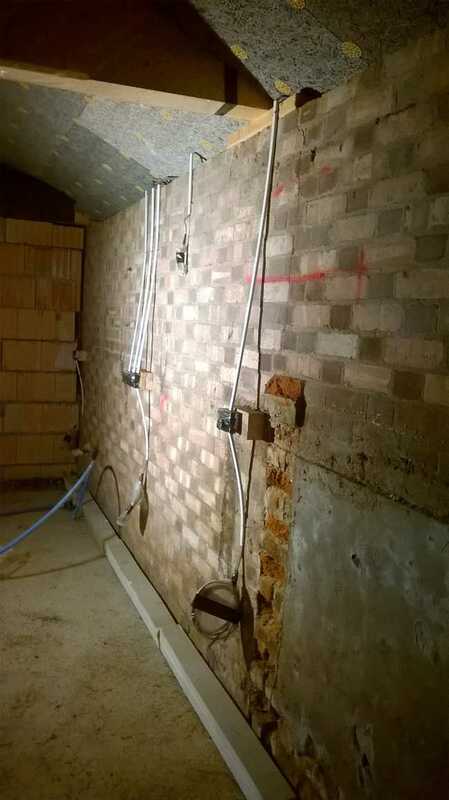 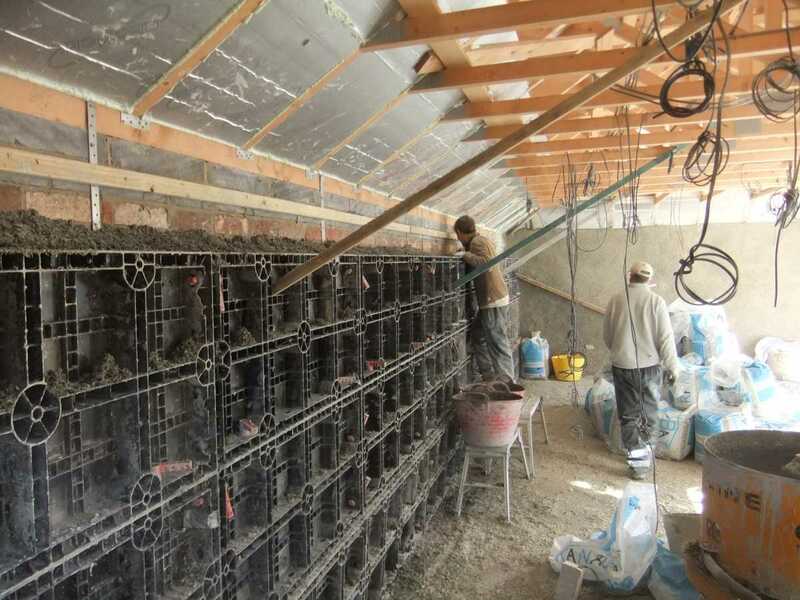 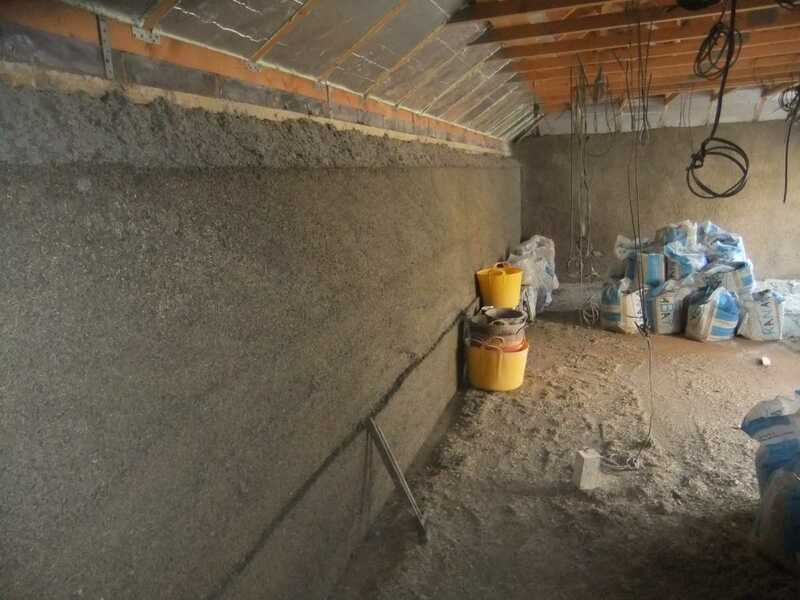 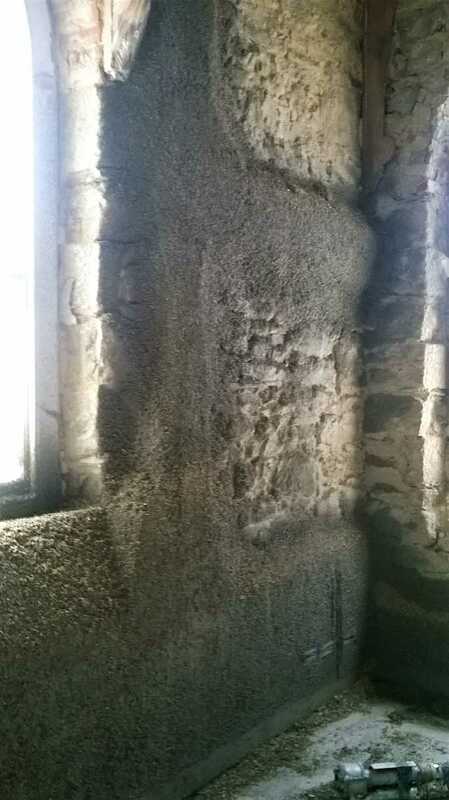 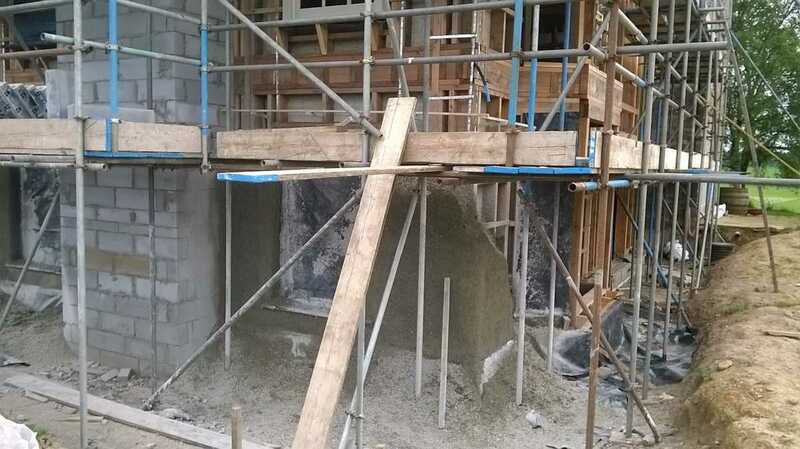 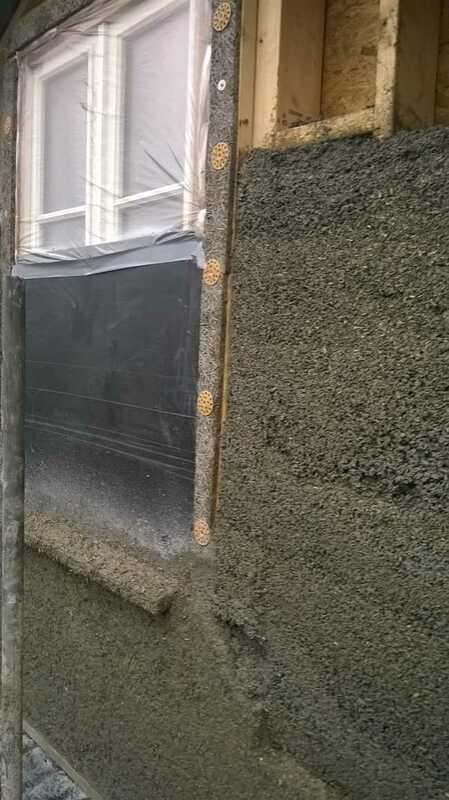 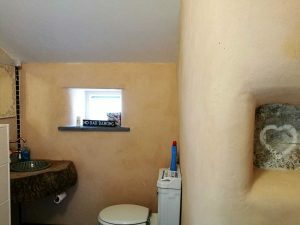 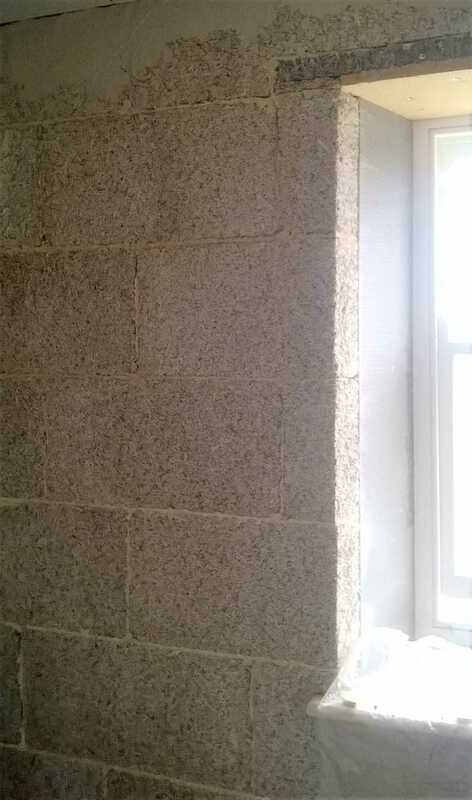 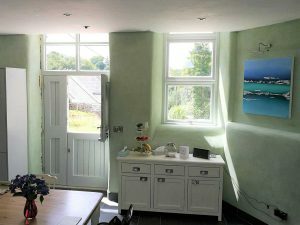 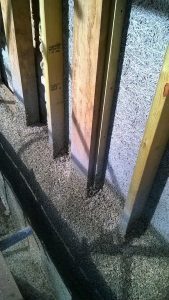 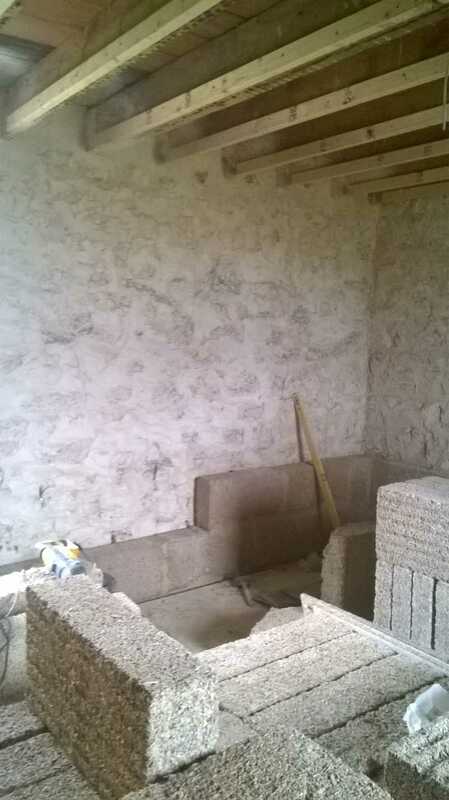 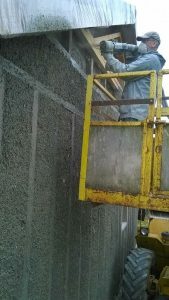 Hempcrete blocks laid on the interior of a stone wall in Guernsey. 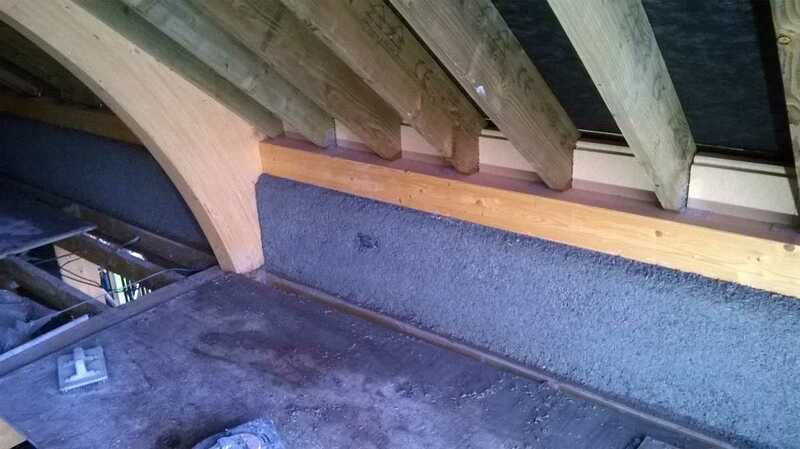 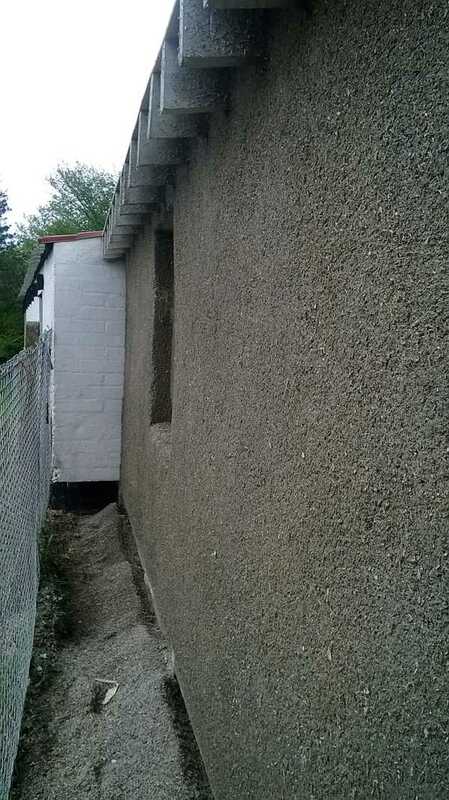 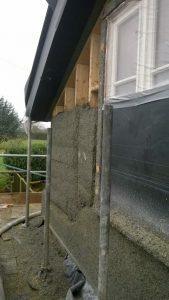 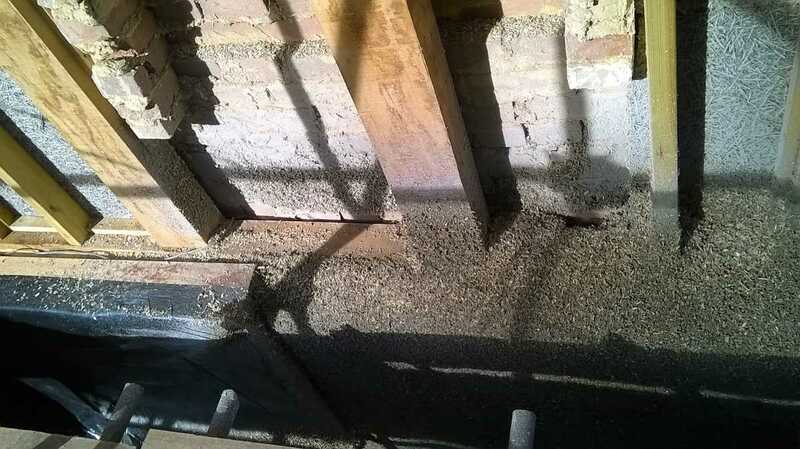 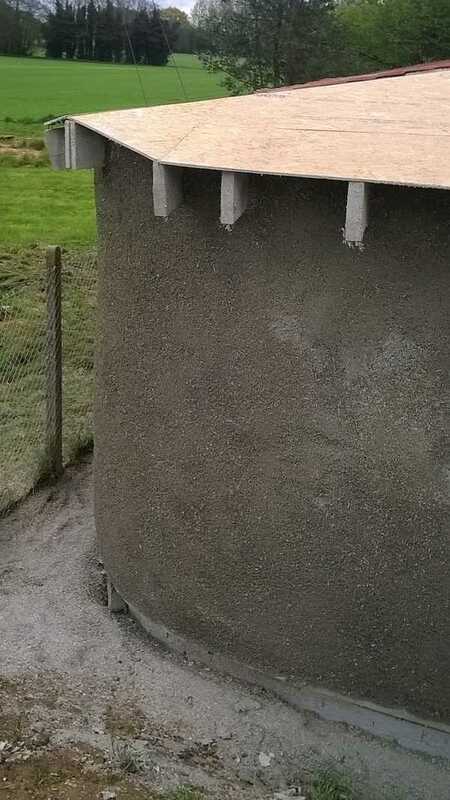 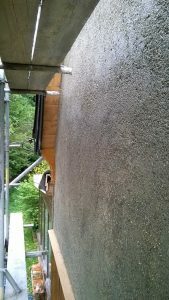 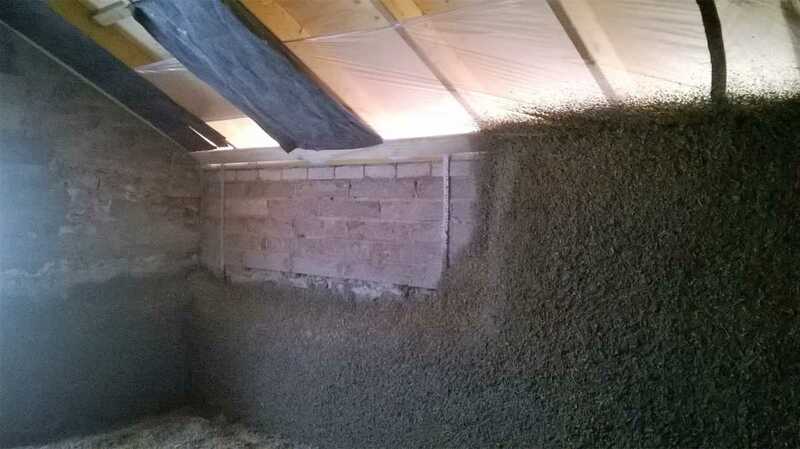 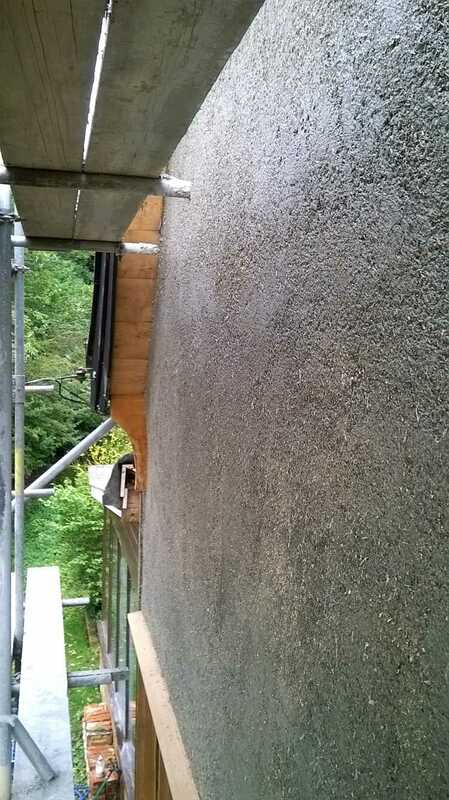 Hempcrete extension sprayed onto temporary shuttering at 350mm thick. 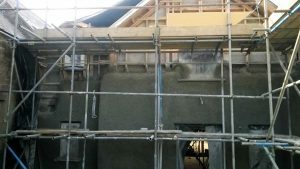 The corner of the building was curved – although it doesn’t show up well on the photograph, it looks really good in real life. 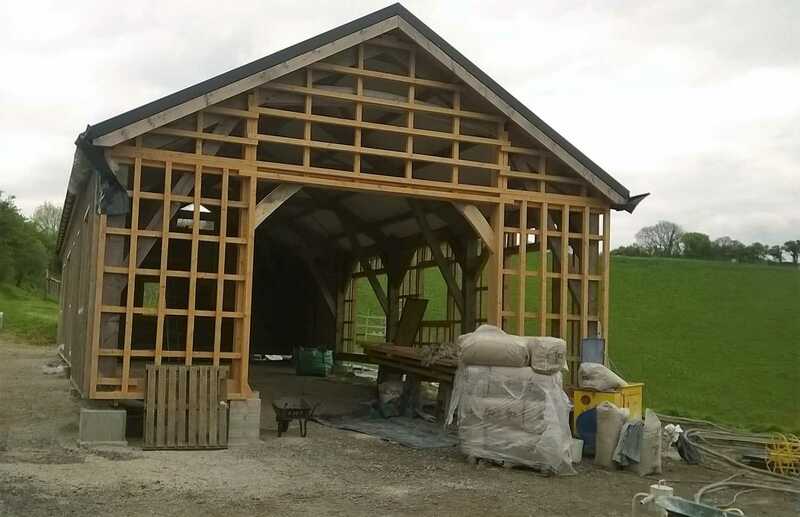 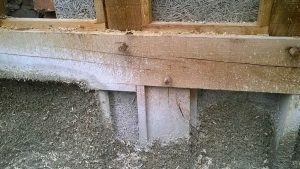 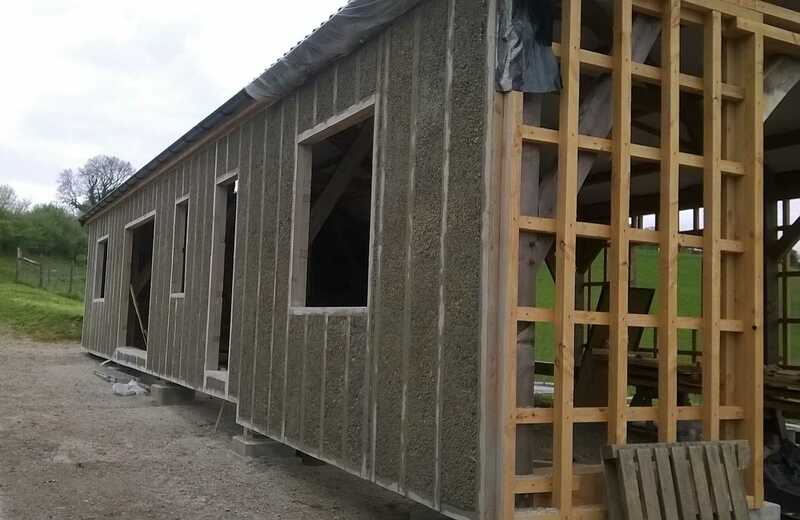 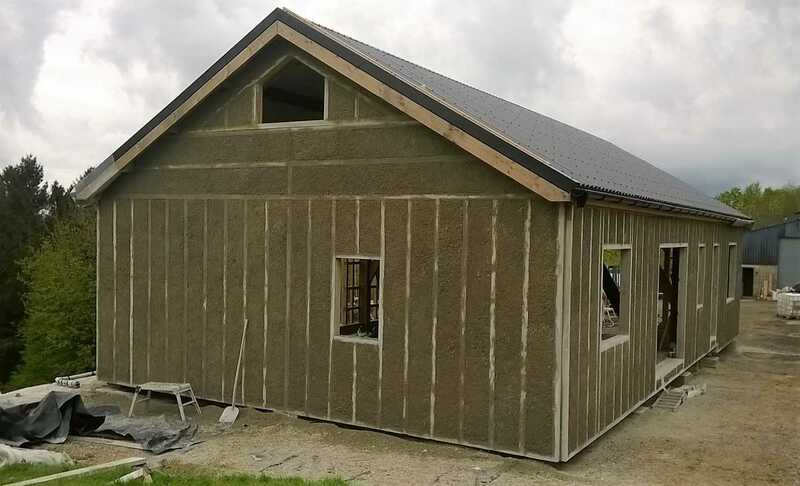 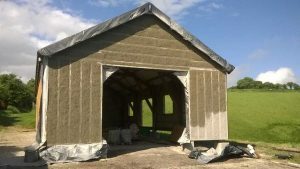 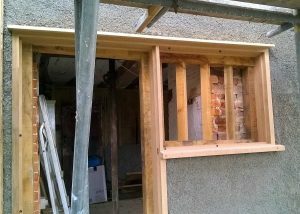 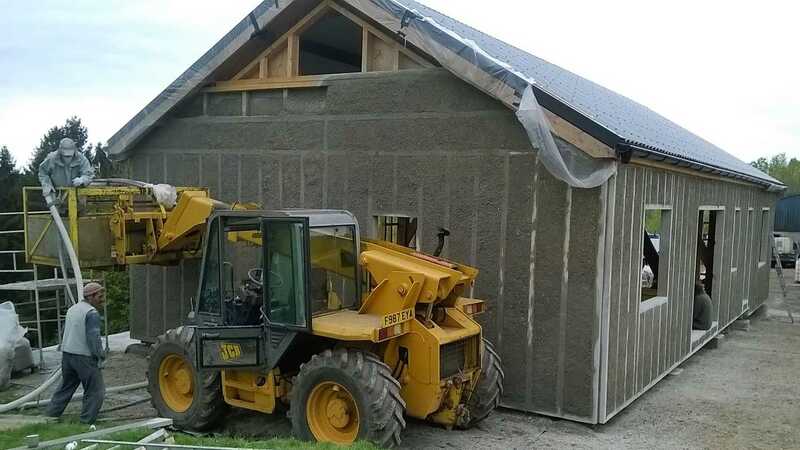 Hempcrete sprayed on a rather beautiful new timber-framed barn – 150mm thick. Large new-build extension on old stone farmhouse. Hempcrete 350mm thick sprayed onto wood wool board. 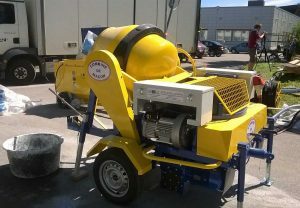 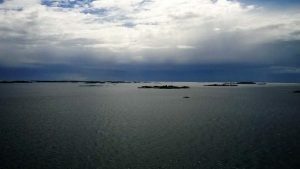 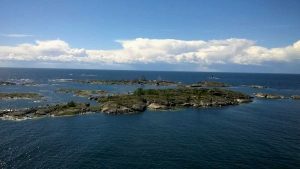 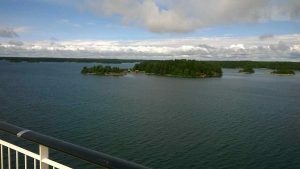 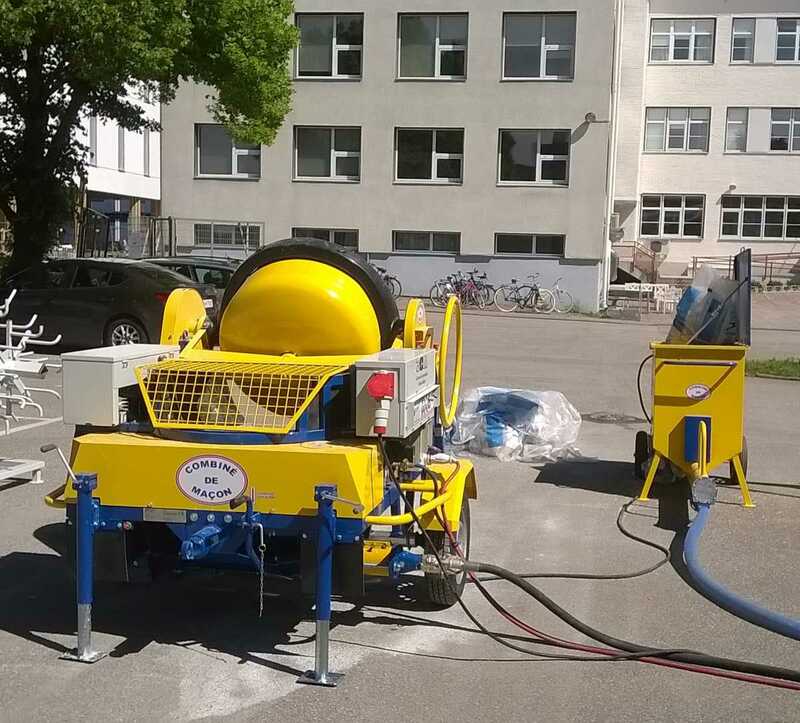 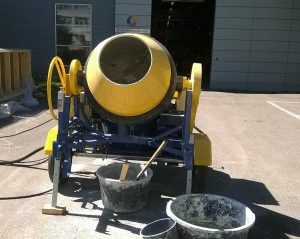 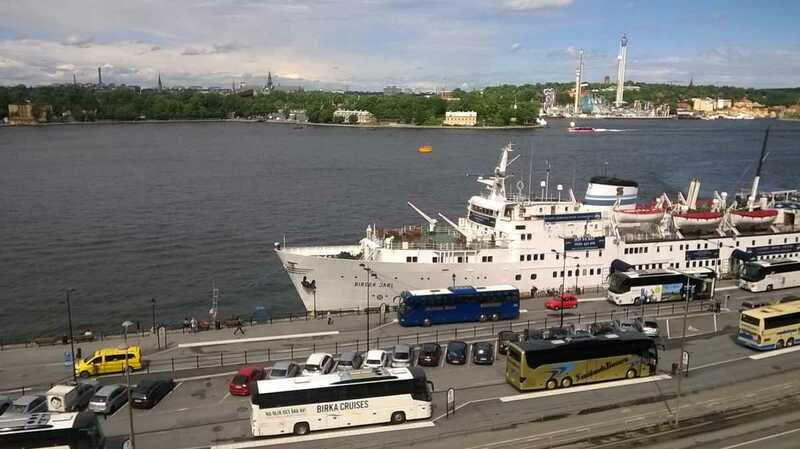 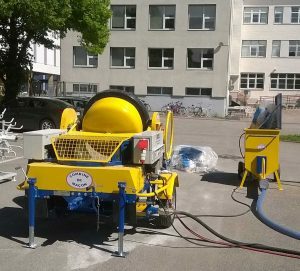 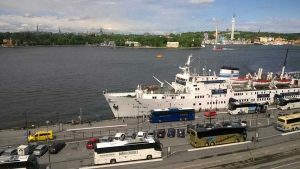 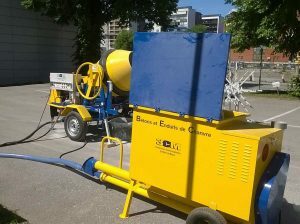 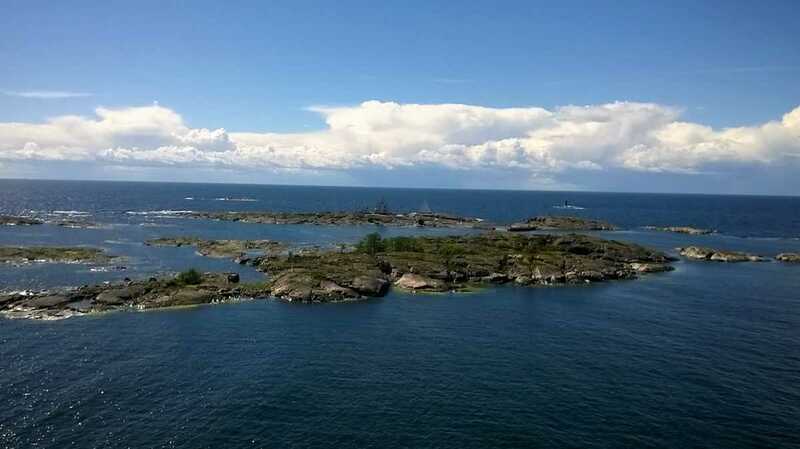 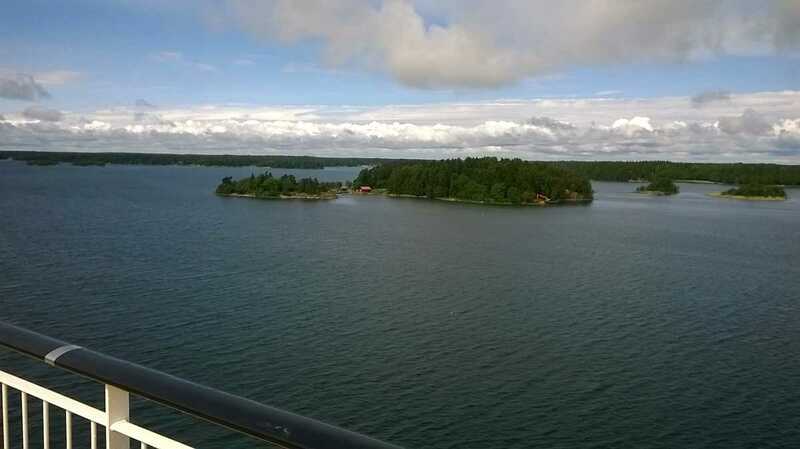 Visited a team at Turku University in Finland, who have purchased a 3CM hempcrete spray machine to undertake research. 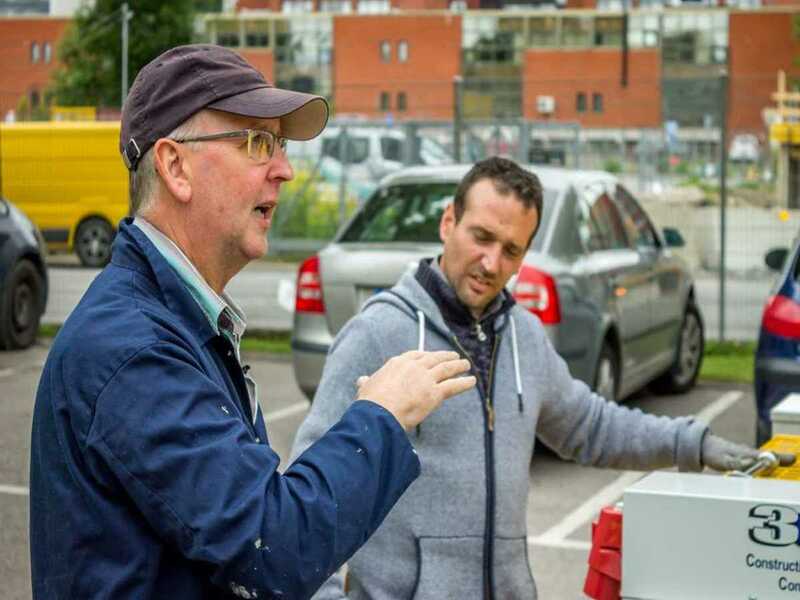 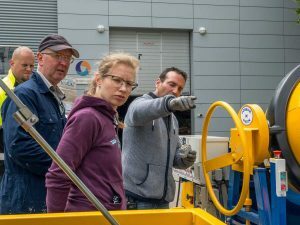 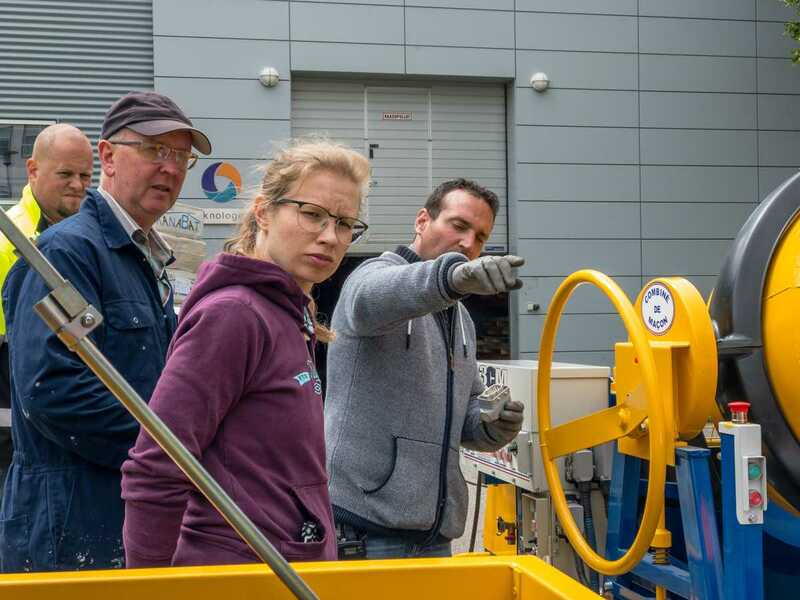 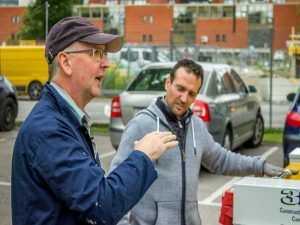 Demonstrated the machine and provided training, alongside Vincent Denis, the machine designer. Planning to visit again in future to help them further. 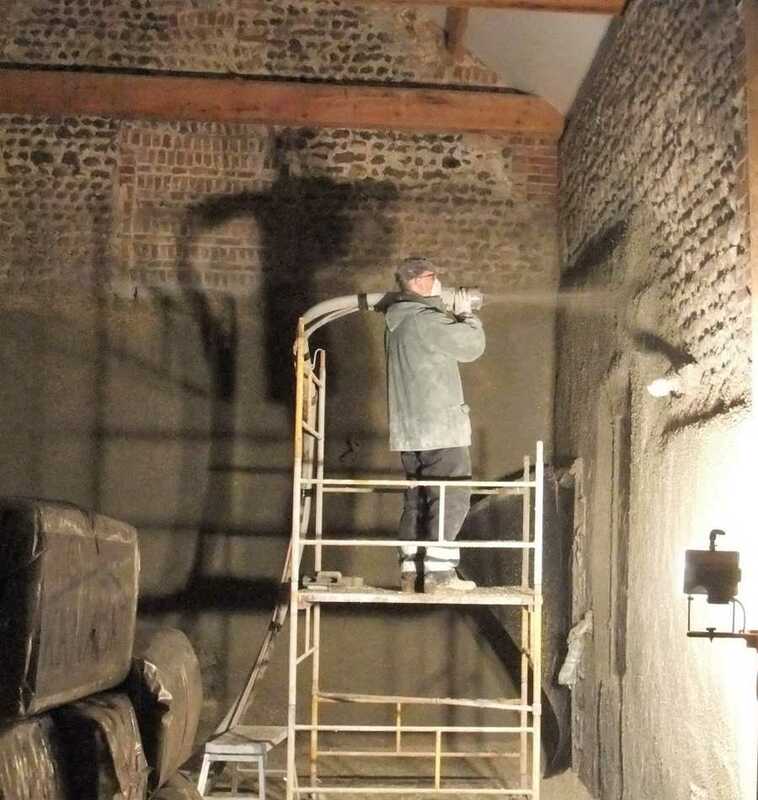 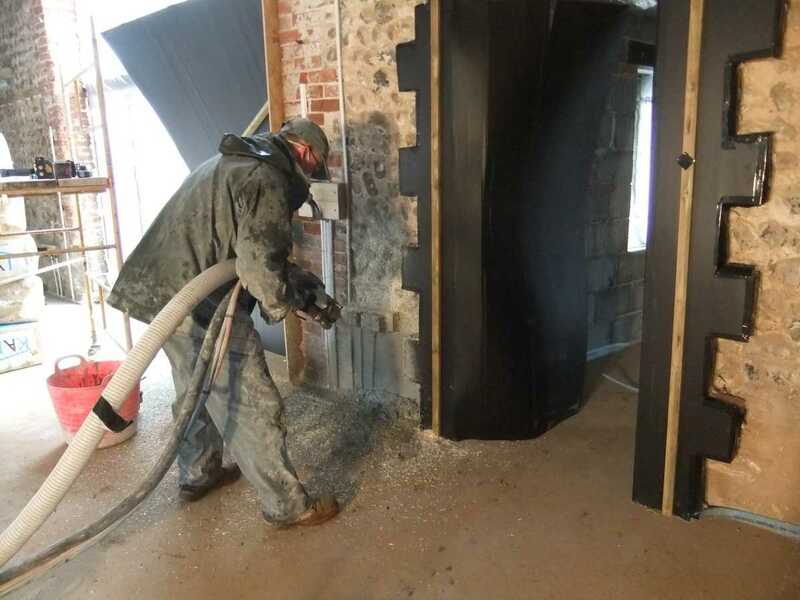 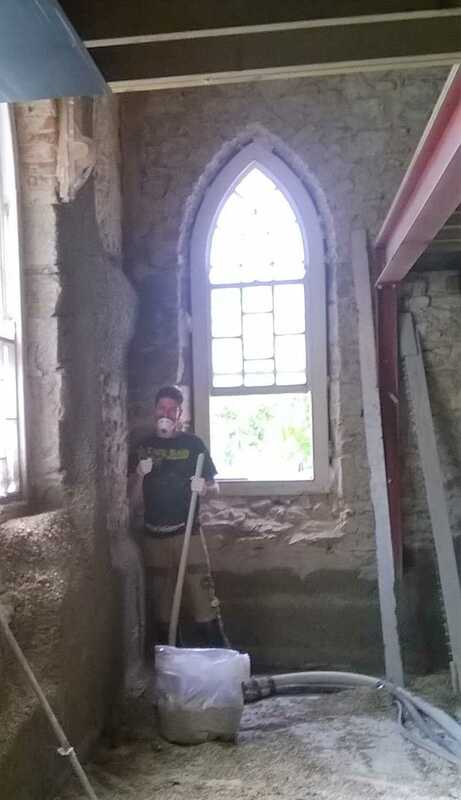 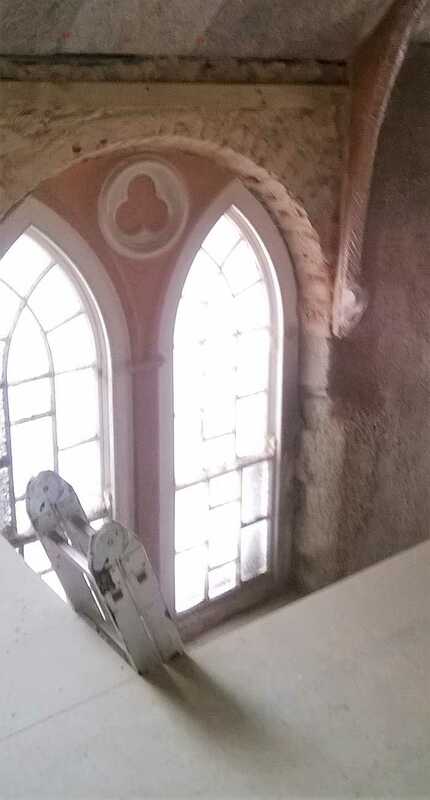 Spraying the inside of an old stone chapel. 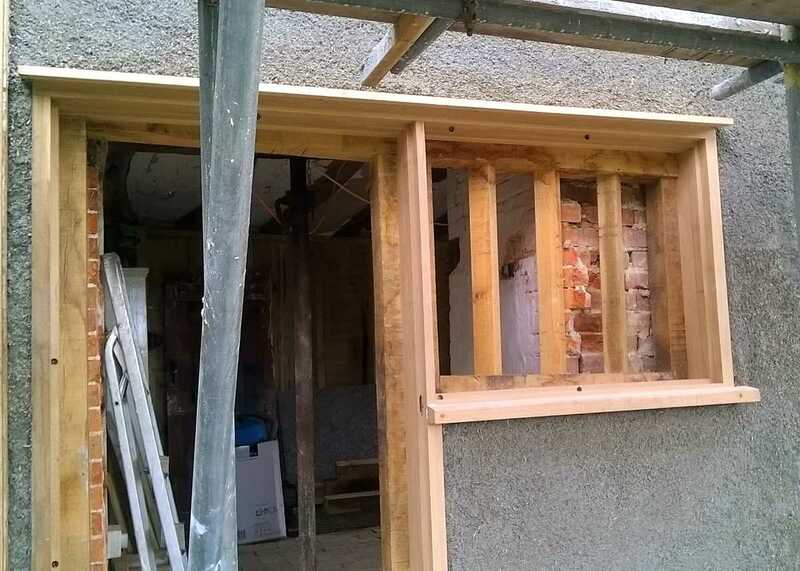 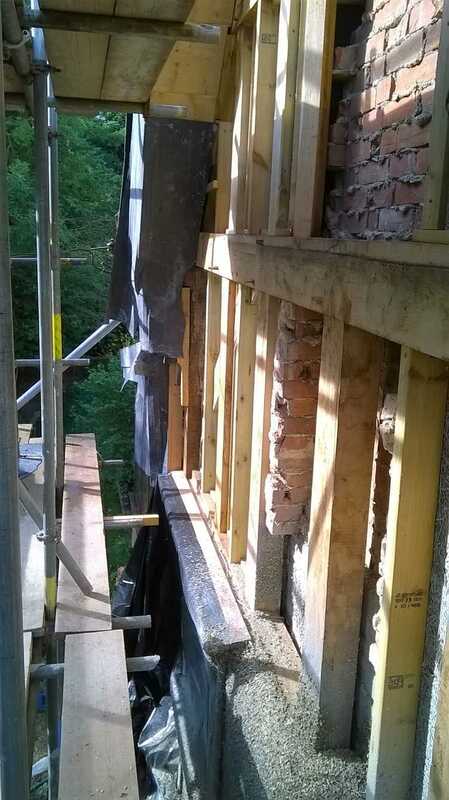 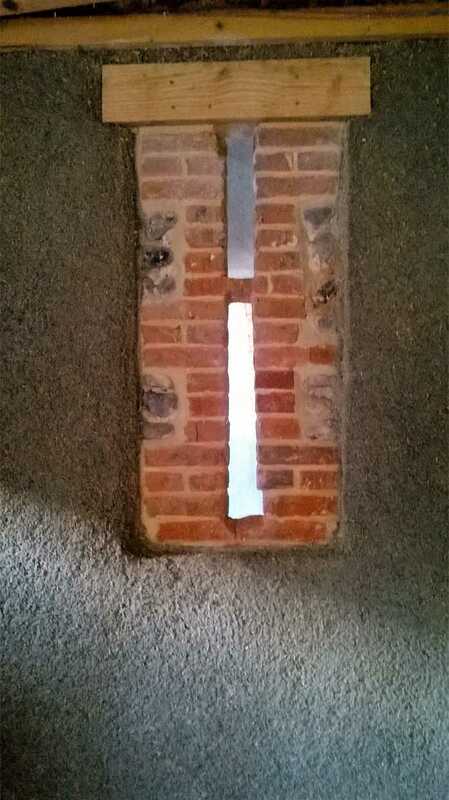 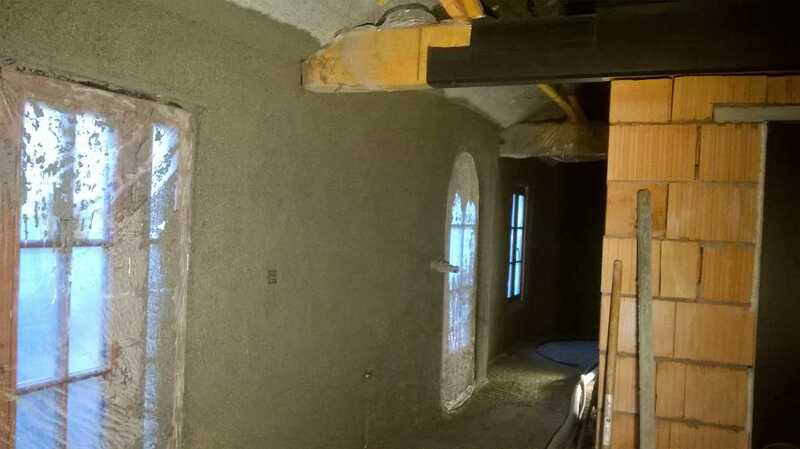 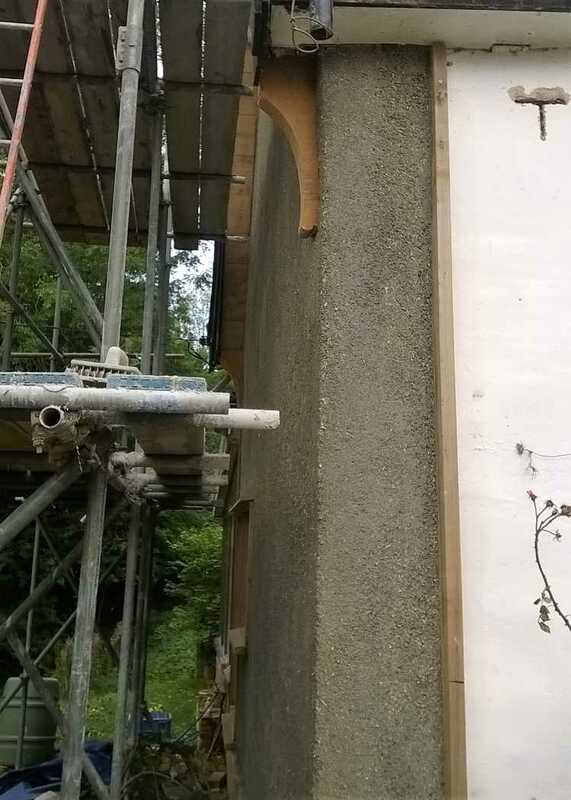 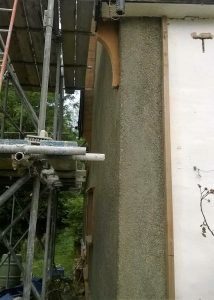 Working in Hope Mansell, near Ross-on-Wye, spraying 120mm of hempcrete onto the inside of an old stone cottage. 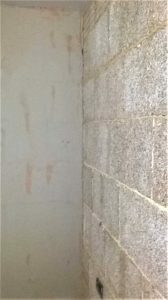 Sprayed internal walls on an extension in High Wycombe. 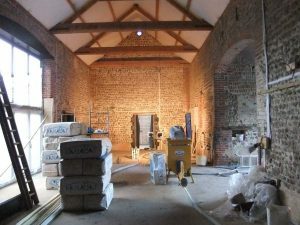 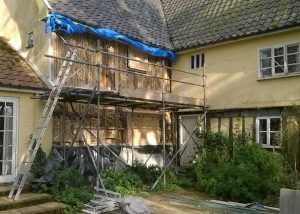 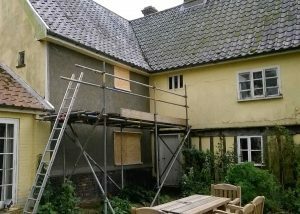 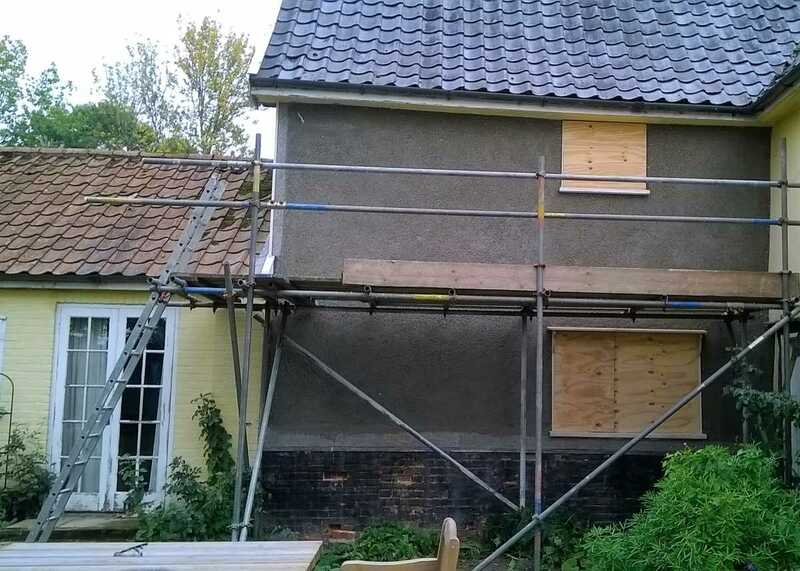 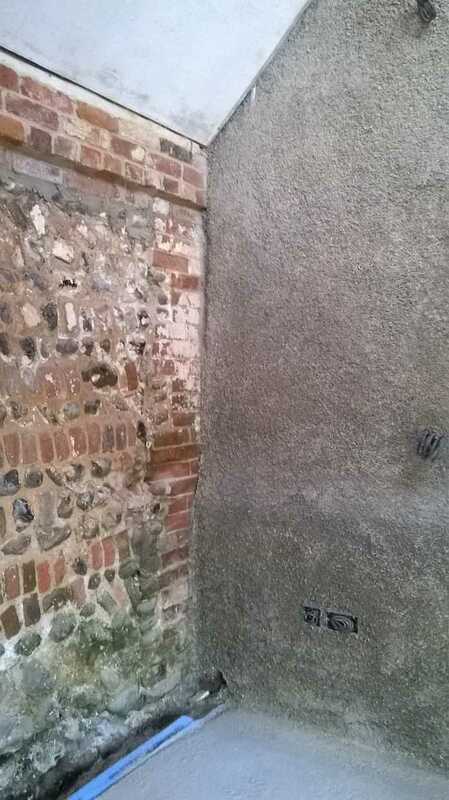 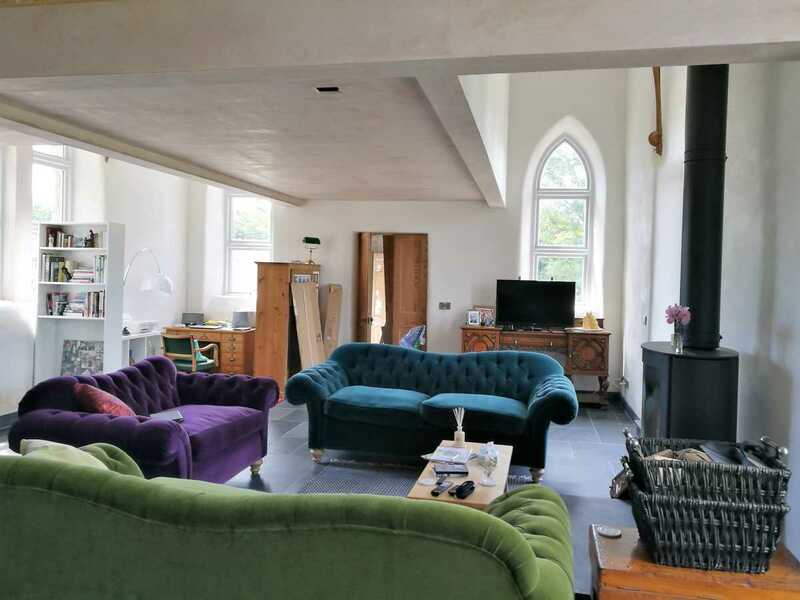 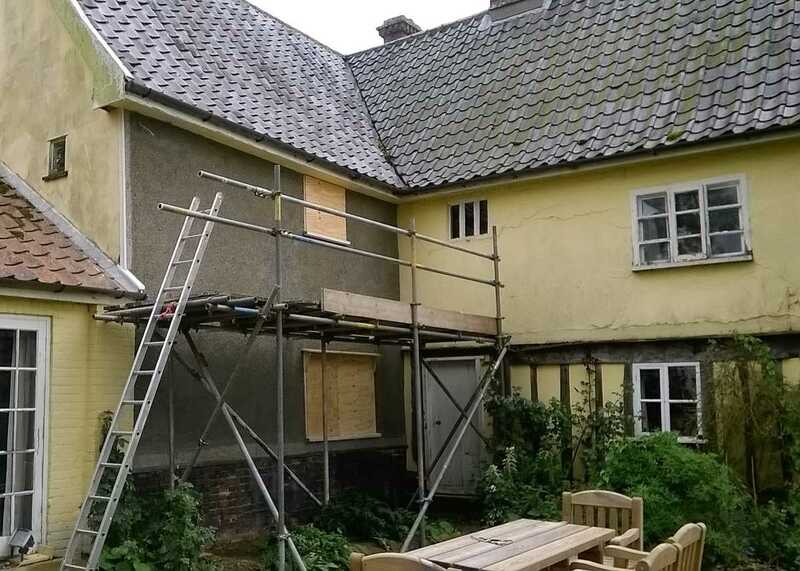 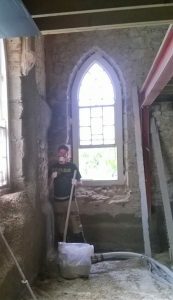 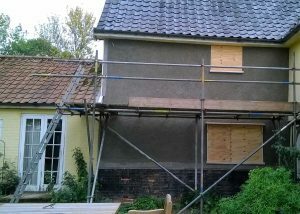 Worked on three old properties in South Norfolk. 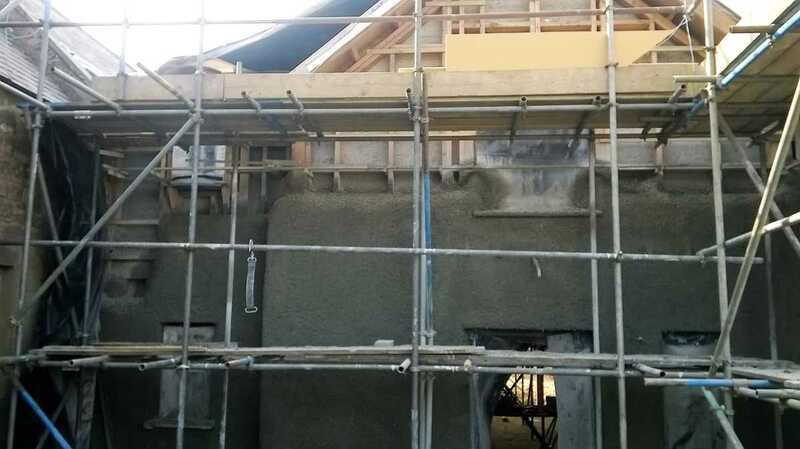 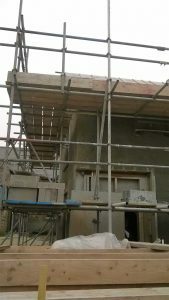 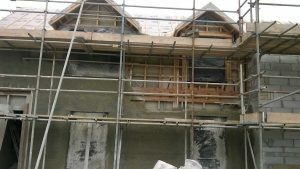 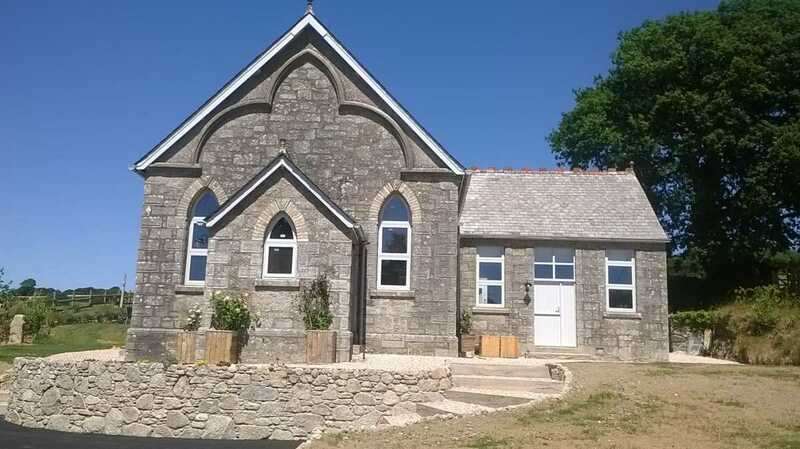 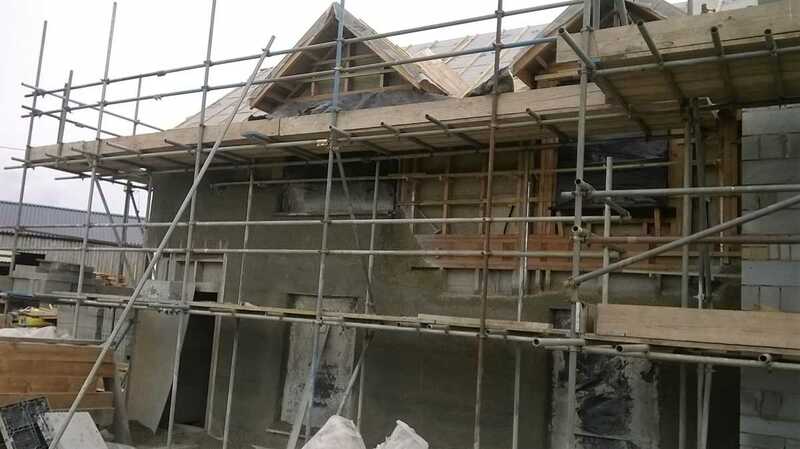 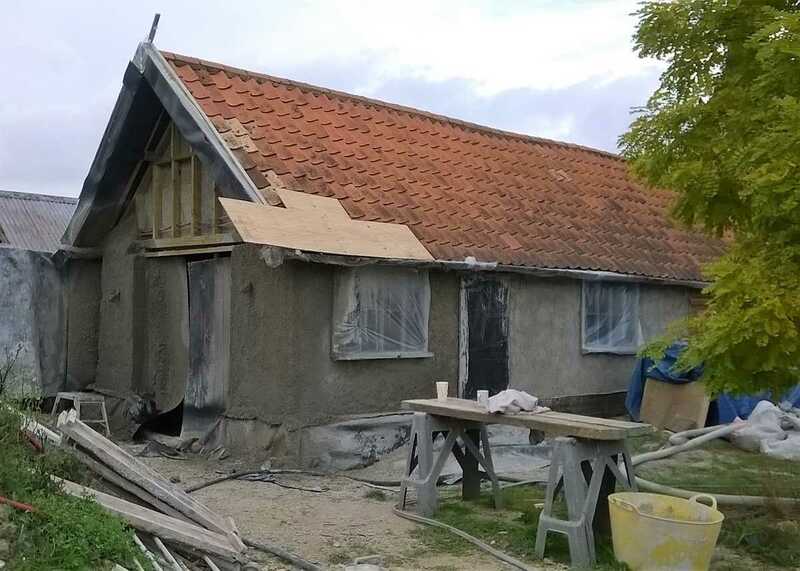 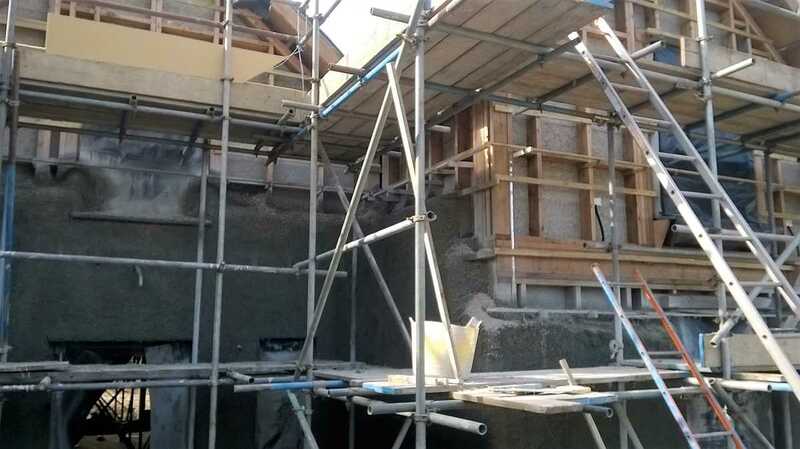 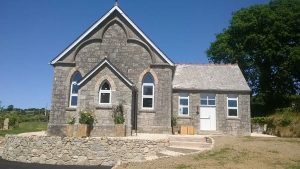 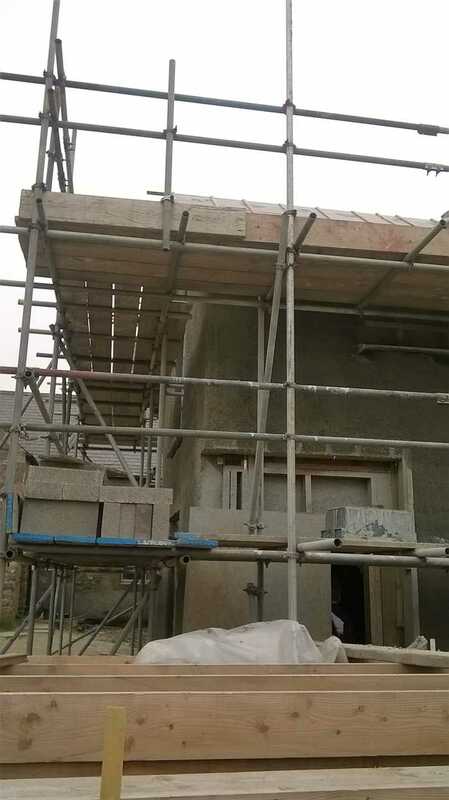 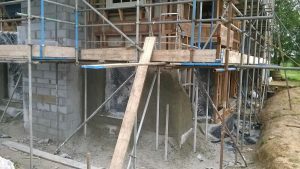 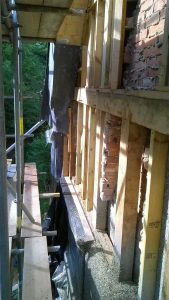 Returned to Guernsey to finish laying the hempcrete blocks in the old stone farmhouse. 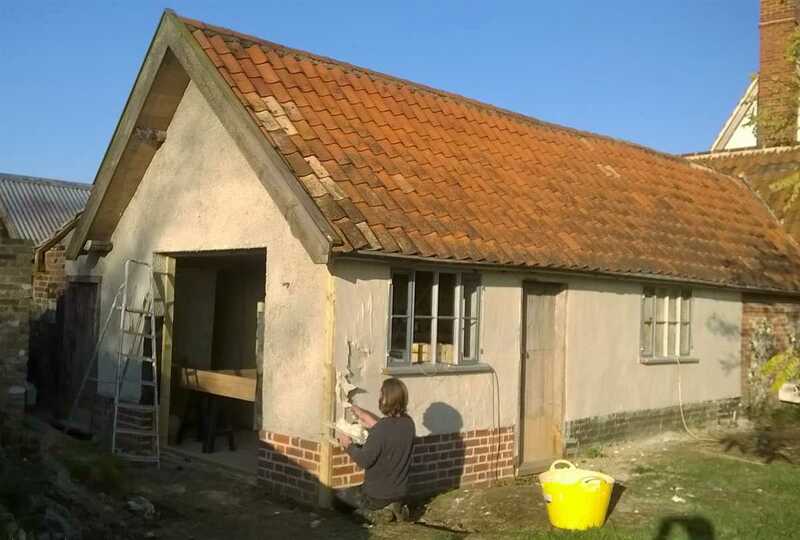 Worked for Myles at The Limecrete Company, spraying some rather nice old farm buildings.